WOUNDED PAW PROJECT - "Saving a Paw, to Save a Life"
Protecting, Advocating, and Wagployment Giving them a Second Tail as a Service Dog! WPP is dispelling the belief that shelter dogs are not practical candidates as Service Dogs. This notion is based upon the idea that by breeding, one can control temperament, wellness, and longevity. Anthropological data does not support the idea that upbringing and race/color influences level of performance or - more importantly - constructive contributor to society. 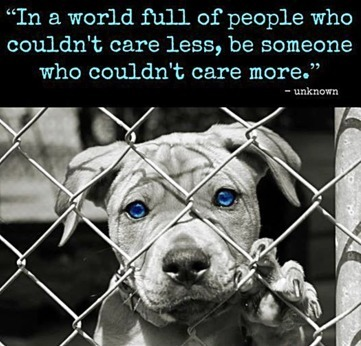 Shelter Dogs exemplify the military creed [dogma] of "Service before Self". This is an amazing cause that deserves everyone's attention! Focusing on dogs and vets is the best charity in the world. Thanks to all the dedicated folks that work on this project! Pitties are the most abused dogs in the world. Thank you for all the great work that you do!